MSC Software sponsorship for the 2010-2011 competition year was utilized for suspension development with the goal to determine the performance impact of a non-traditional suspension design. 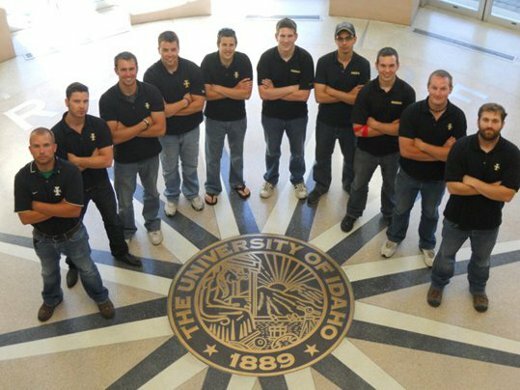 The University of Idaho Vandal Race team has a proud tradition of success in the Formula SAE student design competition in Fontana. In 2010 the University had decided to enter the new realm of the Formula Hybrid giving us a great opportunity to advance our performance with a new power train and packaging. With this opportunity, the Vandal Hybrid (VH) Race Team turned to Adams/Car for full-vehicle suspension design and analysis. Creating a unique template in Adams/Car for the suspension, gave the VH team much more flexibility and control over our kinematic design. We were able to model a suspension system that was unique to our setup and see the potential performance impact of the non-traditional design. From there we were able to make minor adjustments to the design to counter the negative effects of the geometry and to optimize various parameters including roll axis location, bump steer and camber gain in ride. This was done by simulation the movement of the control arms through a theoretical range of motion and studying the graphic output by Adams. Once the geometry was determined we were able to see the predicted loads imposed on each of the members. This was helpful in the design of the Formula Hybrid Race Car by determining which frame nodes were critical and the geometry that was needed to correctly transfer these loads through the frame. It also allowed us to easily size the members of the suspension to reduce the weight and retain performance. Adams/Car has allowed modeling to move beyond geometry for kinematic and dynamic analysis of the suspension. 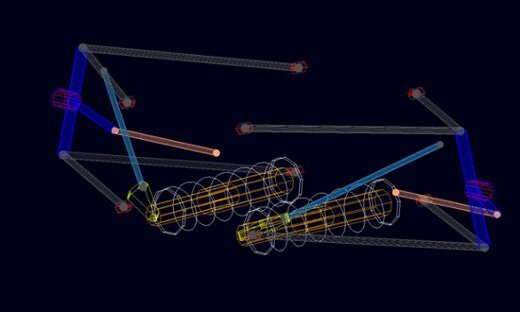 Simulation was used providing valuable data to determine sizing of anti-roll bar sizing and bell crank geometry. With the addition of a new professor in Mechanical Engineering specializing in FEA optimization, we hope to soon be able to accurately model our suspensions including compliance of members to yield higher fidelity results than ever before. Future simulations will include dynamic roll-center migration, tire data analysis, and transient suspension behavior analysis. Before Adams/Car simulation was limited to geometric analysis using Wingeo and FEA with DS SolidWorks. MSC software has opened up a new opportunity for the University of Idaho to improve the accuracy for deflection and stresses in suspension components as well as reduce design time more quickly produce a car that can be tested dynamically.